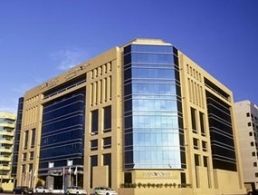 Located on Mankhool Road in the residential area of Bur Dubai, the Four Points by Sheraton Downtown Dubai is only 12 minutes away from Dubai International Airport. Enjoy the best of both worlds as the the hotel is a few minutes away from Dubai World Trade Center, Jumeirah Beach Park and the area's most popular commercial districts. The Dubai Maritime City under construction, Dubai Museum and Dubai Creek Park are also few minutes away. A business center offering scanning, faxing, and photocopying services and one large meeting room with state-of-the-art audiovisual facilities will help make every meeting a success.